In 2015, South and Central America witnessed several serious geopolitical events that indicate that a return of Washington's control over this region is possible. If the Bolivarian movement of the left sovereigntists the end of the 1990's tried to turn Latin America into a separate "collective subject" in world politics, and get rid of degrading clichés like the “US' backyard”, the current trends show a definite crisis of policy, away from sovereignty, not only of the key players but for most of Latin America. It is significant that the liberal-oriented force were victorious on both flanks, in Venezuela the block of right forces with their focus on a close relationship with the United States, won the parliamentary elections in December 2015. Also in Argentina, the businessman-politician liberal Mauricio Macri won the presidential election with a small margin against Cristina Kirchner’s successor. Adding to this is a deepening social and political crisis in Brazil, where an attempt to impeach President Dilma Rousseff was made, but it was regarded as illegitimate. However, the Petrobras corruption scandal promoted by a strong neoliberal media lobby, along with the internal manipulation of Rousseff's Trotskyist councilors, make the position of socially oriented and conservative forces in Brazil look weak. In addition, the United States strengthened its economic influence, through Mexico, Peru and Chile in the Trans-Pacific Partnership. Colombia is the most likely candidate to become a member among other Latin American states, since it often makes deals with the United States and traditionally follows Washington. Moreover, the United States wants to weaken the process of Latin American integration through this project, and reduce the scope of cooperation of all countries in the region with Russia and China, which in recent years was quite effective. However, a number of States continues to stay its course which reflects a considerable diplomatic success. In April of 2015, Panama hosted the 7th Summit of the Americas. The summit participants failed to reach a consensus on all agenda topics, and the summit did not publish a joint declaration. This was the result of fundamentally opposing positions. On the one hand is the United States and its satellites, on the other hand are states oriented to self-development. Cuba for the first time participated in this event, where Raul Castro and Barack Obama shook hands. The Paraguayan capital hosted the Mercosur association summit. Paraguay and Uruguay were in favor of strengthening cooperation with developed countries, especially the EU. That the Mercosur countries will coordinate their activities with other integrational projects in Latin America, the UNASUR and the CELAC, can be considered a step in the right direction. All three projects are pragmatic, aimed at creating a common political and economic space in Latin America. On June 10th through 12th, Brussels held the CELAC-Eu summit, where representatives of Latin American countries rather firmly defended their position on a number of issues, which shows the growing importance of Latin American diplomacy in general. Cuba’s successful participation as mediator in the negotiations between the FARC and the Colombian government confirms this trend. On the eve of the summit, the international organization on migration (OIM), published data showing that the number of immigrants arriving from Europe to CELAC, for the first time exceeded the number of those who traditionally went from CELAC to Europe. Meanwhile, the summit was an opportunity for the EU to develop more intensive cooperation with South America, which was used by Germany: Berlin already offered a draft project for the transoceanic railway. The UNASUR summit and the League of Arab States was held in October 2015, in Riyadh, showing the trend of closer cooperation between Latin American and Arab countries. In 2016, it is likely that the Gulf monarchies will try to conduct financial intervention in Latin America, trying to compete with China. On January 27th, the CELAC Congress in Quito will be held, and the agenda will be the fight against inequality, conforming to the liberal paradigm of the UN Millennium Development Goals, as well as the interests of the relevant countries. Cuba did not change its domestic policy, even though the country needs to improve its economic situation. In 2015, it fully restored diplomatic relations with Washington, including the opening of diplomatic missions and visits by high-ranking officials. It is significant that the US sanctions against Cuba were lifted only partially, which shows Washington's intention to toe a hard line on a number of fundamental issues. Nevertheless, not going the route of liberalization, Cuba maintains close relations with socialist governments, not only in the region, but also in Asia and Africa, as well as with the Russian Federation. In 2016, it continued collaboration with its traditional partners. Havana will look for ways to solve their economic problems in the context of a partial lifting of US sanctions lifting. Venezuela, after the parliamentary elections, entered a period of political instability that threatens a constitutional crisis and riots. The parliamentary majority after the elections in December 2015 are right-wing forces that are oriented towards the United States. At the beginning of 2016, despite an order from the Supreme Tribunal of Justice, several deputies were sworn in whose legitimacy was contested by the United Socialist Party of Venezuela. It seems that Bolivia holds the strongest position of the ALBA bloc on the continent, the elections in 2015 showed that the majority of people prefer the current president, Evo Morales, and want him to be re-elected to the third term that the Parliament officially allowed. In February, the decisive referendum on the issue is to be held. Bolivia actively expands its cooperation with Russia and China. The first case is the interaction on energy projects. In October 2015, it was stated that in the city of El Alto they will establish a center for the study of nuclear technology and development. It will operate with the assistance of Russian technology, and its construction will take four years. In addition, in the province of Santa Cruz a major oil field was found, which will increase the country's oil reserves by almost three-fold. China traditionally provides loans to Bolivia for infrastructure projects and national currency support. While in 2015, Bolivia faced wide protests by miners, the situation in the country returned to normal. In the past year the US ambassador was expelled in Bolivia, Evo Morales called it an important step towards the consolidation of democracy. 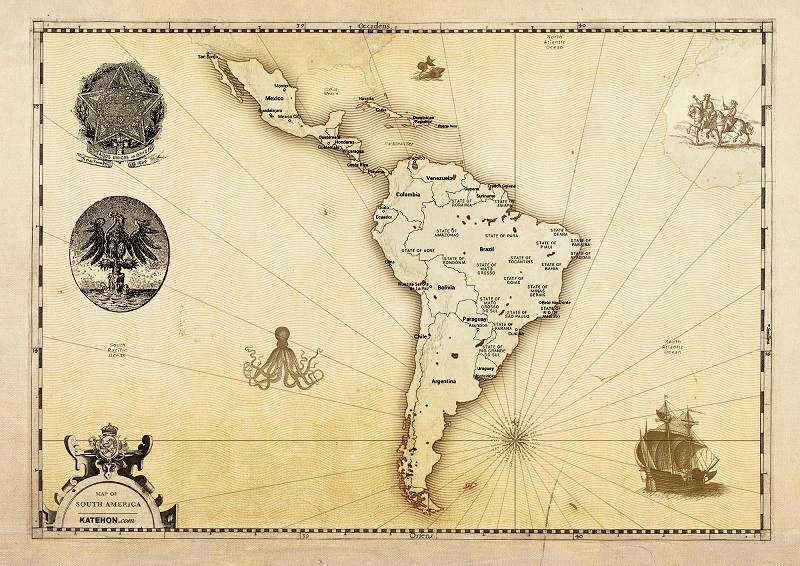 Attempts to regain access to the sea, lost by Bolivia in 1904, by legal means, suddenly ended successfully. Bolivia's petition to the Hague International Court was approved, and after rejecting Chile's preliminary objection, the process was resumed. Now the preparation of the Chilean counter-suit will last until July 25th, 2016. In Ecuador, several economic indicators worsened due to falling oil prices, although social policy has been generally constructive. Next year will be crucial in determining the future candidates for the 2017 presidential elections. Rafael Correa is no longer able to run, and is forced to search for a worthy successor. The most difficult situation is in Venezuela. With the fall in oil prices and the US sanctions, the government will try to find solutions that will not affect public spending. The right opposition, on the contrary, will criticize any action of the United Socialist bloc, blaming them for all and any problems. Any sabotage and subversion is a possibility, which repeatedly occurred earlier in strategically important facilities - this will only add fuel to the fire. As a result, Caracas and several regions may face massive violent protests. Argentina and Brazil will meet no less serious challenges. Both countries are under strong pressure from the global neoliberals. Argentina needs to solve problems with debt payment. Since the country lacks the necessary resources, it expected the next reform, which the World Bank, the IMF and transnational corporations will use in their interests and to their advantage. Perhaps the first loans will initially help stabilize the situation temporarily, but in the long term, it will threaten strategic enterprises with privatization, as well as a hit on the public sector: health, education, subsidies. As a result, the country will face a deep crisis. However, in 2016, Macri will use the current situation to improve the ranking, as well as to work for business interests. In Brazil the recession is expected to continue. Current oil prices will make it impossible to balance the budget, and in addition the ruling Workers' Party will continue to lose credibility with the people. It seems that the political leadership will not be able to respond quickly to the current challenges of new conservative ideas. The liberals will try to use this opportunity. In 2016, Brazil will hold the Summer Olympic Games (the first one in Latin America), which will require further attention and resources. It can be used by external forces to destabilize and to discredit Dilma Rousseff. For Paraguay and Uruguay the status quo will remain in effect, as they will not experience any major changes. Both countries are trying to balance their strengths under in the present context. The situation is the same with small countries of Central America, who will continue to follow the general geopolitical turbulence. Chile remains relatively stable. The country will continue to follow a liberal model of international relations. Two other countries must be regarded separately – Mexico and Colombia, as they share a problem with high levels of crime. In June 2015, parliamentary elections were held in Mexico, which was won by the ruling Institutional Revolutionary Party (PRI). The country's President, Enrique Peña Nieto, is also the leader of the Party, who will be the head of the republic until the end of 2018, so no major changes are foreseen. The so-called drug wars traditionally continue, initiated under President Felipe Calderón with the US's help. Washington will use drug trafficking to its own interests, being blind to the murders and human rights violations in Mexico, which has a common border with the United States. The flow of illegal migrants to the US from Central America through Mexico will continue. The situation in Colombia will remain tense. Although the negotiation process with FARC has some success in a number of country’s cities, there are large narco-cartel gangs. It is unlikely that they can be destroyed in 2016. In 2016, Nicaragua will held presidential elections. According to the law there is no limit on the president terms, and Daniel Ortega is likely to run again. There is a high probability that the Sandinistas will win these elections, which means that the US's immediate reaction will be in encouraging opposition protests. For Washington it is advantageous to use any pretext to destabilize the country, as now an additional canal, alternative to Panama's, is under construction. The most interested actor in the construction of an additional route is China, who in fact is financing the operation. Russia is also involved in the project, but its role is limited. In April 2016, presidential elections in Peru are to be held. The leader in ratings is the former president's daughter Keiko Fujimori, who lost the last election (she was educated in the United States). The current President Ollanta Humala cannot run for a new term. The second one is likely to be the notorious 77-year-old businessman Pedro Pablo Kuczynski, who previously took high positions in commercial companies and was accused of corruption. He has experience in the IMF and the World Bank too. If in the near future, the patriotic forces won’t represent its candidate, both candidates will continue with a liberal policy.